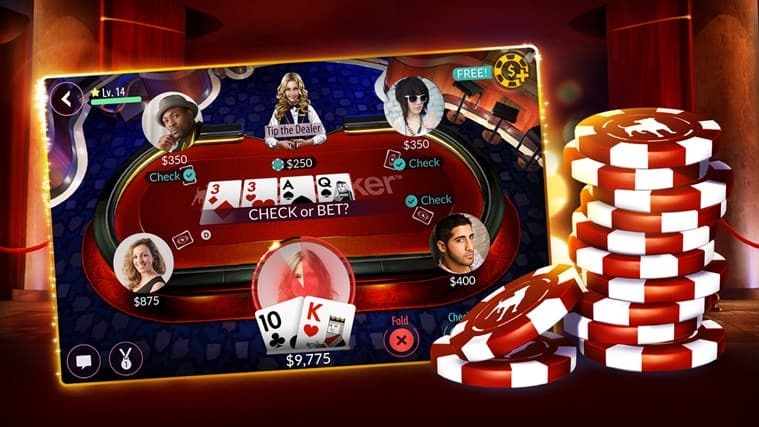 There’s an entire culture revolving around online poker and even if you may not be a poker fan yourself, any Windows Phone user that’s into the game will probably be excited to find out Zynga Poker is now available for download in Windows Store. As usual, Android and iOS users got theirs quite some time ago, but the game is here now in WP flavor so you might as well enjoy it. The popular Texas Hold ‘Em game caters to everyone, from casual users to those aspiring to become professionals. A limited time offer gives you 20,000 free chips and 10 gold if you sign in while it still lasts. Through Zynga Poker you can play casual Texas Hold ‘Em games but also enter competitive tournaments and get the opportunity to win up to 250,000 free chips every day with Lucky Bonus Slots. The best part about the Zynga online poker service is you can play from any supported platform or its web versions – all you have to do is login with your profile and continue from where you left off. Even though it’s listed as a free download, Zynga Poker is not available for everyone. Age and geographical restrictions apply – so if you don’t see the app listed in your country’s Windows Store, this is why. The graphics are rich and attractive with smooth animations, making the poker experience even more pleasant and fun. 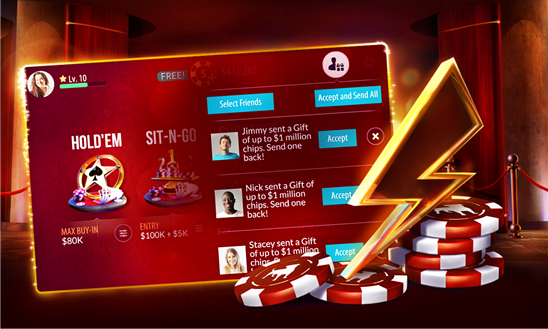 With all sorts of special events and real world prizes, Zynga Poker is truly a high-quality poker game. It’s free to download and you can play it for free to some extent, but there are in-app purchases for thrill seekers. If you like the genre, go straight to the download page and give it a try on your Windows Phone. Do you like Zynga Poker or you have another go-to game for your daily dose of poker? Let us know in the comments section! If you want to stay updated with the latest on apps & game reviews, news, tips and how tos for Android, iOS and Windows Phone, feel free to follow us on Pinterest, Google+, Facebook and Twitter!